I think it’s a good question and it’s important to know what we’re doing when we put a drug into our body. So here’s what you need to know. CBD Oil is Cannabidiol. It’s a single chemical extracted from the cannabis plant (often known as marijuana). It is not, however, illegal. It is produced from industrial hemp, which is completely legal and is then reduced into an oil-based product. CBD oil is used for an enormous variety of tasks. Some people use it for pain, some take it as a form of nutritional supplement and others make it into other products – it’s a very common ingredient in skincare products, for example. There are many ways to consume CBD oil and I have written about this recently. So, I won’t go into great detail here, but it is worth noting that your choices tend to be: eating it (in an edible preparation), smoking it (vaping), or sublingually (as drops under the tongue). I will admit that I am a little concerned about vaping. While there is no current evidence to suggest that vaping CBD oil is dangerous – I wonder if that’s because there’s been no definitive study and because the substance is still relatively new and long-term data is unavailable. I think smoking of any description is a bad idea. I think it has to carry some risk of lung problems farther down the road. However, I also understand that if you want to smoke it because other forms of application are ineffective – you may feel that the benefits outweigh the potential (and unproven) harm. That’s your call. CBD oil extraction is a relatively new development. Cannabis has increasingly been recognized for its ability to help people manage pain, reduce anxiety, help with depression, etc. A growing body of scientific literature supports the position that cannabis has positive medicinal effects and it has led to the legalization or decriminalization of cannabis in some US states and in other countries. However, cannabis is still not legal in very many places. In American states, the federal government still sees all cannabis usage as criminal though some state governments disagree. There’s also the small issue that cannabis gets you high. Which can be fun when you’re a teenager with no responsibilities but it’s not so great when you have things to do. Like raise a family or earn a living. The answer appears to be, yes. That answer is found in CBD Oil. So, Does CBD Oil Have Side Effects? Firstly, I think it’s important to point out again – CBD oil use and study is still in its infancy. Anybody, who offers you a clear and categoric statement that its use is 100% safe is not being entirely accurate. Current evidence suggests that while CBD oil has some side effects, these side effects are both mild and temporary. It has a soporific effect. Some users of CBD oil report that they find it harder to stay awake after using CBD oil than they usually do. This happens often enough that it probably should come with a “do not operate heavy machinery” warning for new users. I have to confess that I haven’t had this problem when using CBD myself but it’s something to consider. It may cause an upset stomach. The upset stomachs that result from consumption of CBD oil, seem to relate (mainly) to the oral consumption of edible CBD oil. That is people who vape or administer their CBD oil sublingually are less likely to suffer from stomach problems. I had a mild issue with this for a week or so before I got used to taking CBD oil, myself. Overall, these two side effects are not worth worrying about unless they become persistent or interfere with your ability to carry out your day-to-day life. However, current evidence is not the same as “all the evidence that ever will be”. Studies into long-term use of CBD are, not yet, available. That’s because there are no long-term users (from a medical perspective) to study at the moment. That means if you decide to start taking CBD oil; you should keep an eye on developments in the field as you move forward. I think it’s unlikely that CBD oil will be linked to any serious issues but it’s always better to be safe than sorry. If you feel sleepy, the best thing to do is to take your CBD later in the day before you go to bed. This may not be a perfect solution to your pain management needs but it’s definitely better than falling asleep at the wheel or at work. You should find this doesn’t last long. Upset stomachs, on the other hand, can be addressed with Pepto Bismol or something similar, and they usually won’t last very long. If you are concerned about any health-related issue when taking CBD oil – you should consult your doctor or family physician. They will be in the best place to advise you regarding your health. Don’t just look up problems on the Internet, that’s a recipe for misdiagnosis. So, for the moment, there are minimal side effects with CBD oil but this may not be true forever. If you’d like to try some then I recommend you start with buying from a reputable vendor of CBD oil such as this one. I hope it helps with your pain as much as it has with mine. Hi, I’m Thomas and I am a huge fan of CBD oil and its ability to treat pain. It’s legal, you don’t get high and it’s very effective. Do you know what I am not so much a fan of? The industry that produces CBD. Many CBD oil suppliers simply aren’t reliable. Some, a very few, ship substandard products but many others don’t deliver on time or go out of business nearly as soon as they begin. Not Lazarus Naturals though, they’re excellent and that’s why I want to draw your attention to them today. You can see from Lazarus Naturals’ website that this is a business that cares about what it produces and the way it is perceived. The website is clean, airy and full of useful information. They are clear about the fact that they have their products fully tested by a third party to ensure that quality standards are met. They are all natural and vegan (which is to be fair, true of nearly all CBD products as they are a plant extract). They also deliver an accessible online and offline experience. This is all backed up by a commitment to deliver a high-quality experience. I’ve spoken to the customer care department to ask some standard questions and they were all answered correctly and with enthusiasm. It gave me confidence that ordering from them would result in CBD oil that met my expectations. I was not disappointed. My parcel arrived when they said it would and the goods were well-packed and presented and while I don’t have the facility to test the CBD oil provided; it certainly provided the same experience as the CBD oil I had been using up to that point. You can’t get free CBD Oil from Lazarus Naturals they don’t offer that sort of service, but you will get value for money and the quality you need. Check out their website now. A recent article in NPR, called For Chronic Pain, A Change In Habits Can Beat Opioids For Relief offers some interesting insights when it comes to managing your own pain. The gist of it is this: opioids are not delivering for long-term pain relief. This is something that we touched on recently when we talked about the way that opioids are not delivering any better results than other less severe forms of pain relief. What is working, say medical experts is a change in the way that people live their lives. What Do They Recommend Instead Of Opiates? It’s all very well to say that opiates don’t work very well but is there a better solution? Here, the medical profession says that there is. Firstly, they place a strong emphasis on diet and exercise. The doctors recognize that while dieting and exercising can both exacerbate pain in the short-term, they say that it has near-miraculous benefits in the long-term. Secondly, they recognize that part of our pain comes from a psychological aspect of our personalities. It’s not “all in our heads” but some of it surely does stem from the fear, torment, and anguish of regular bouts of pain. Finally, they recommend that while you undertake a series of lifestyle changes and seek cognitive behavioral therapy to change the way you deal with your pain; you quit the opiates. Nobody is saying “go cold turkey” here. The emphasis is on slowly weaning yourself off the drugs without going into harsh withdrawal. It is also worth noting that CBD oil has been shown to be effective when withdrawal from opiates is uncomfortable or increases pain. You may be able to get a free trial of CBD oil for assistance treating your pain or your withdrawal pain from opiates. It’s one way to make sure that you have a brighter pain-free future. I’ve been focusing on arthritis this month and that’s because it matters to me. It would never have occurred to me just how much a joint can hurt until I was diagnosed with an arthritic knee. I knew it was coming or at least that it was likely to come, I opted for a treatment for allergies that made arthritis much more likely. I just had no clue how severe that outcome would be. I could find myself in tears over bending down to tie up my shoelaces. I’d come close to wetting myself at my desk rather than get up and walk somewhere. I hurt all the time and it made me a poorer person for it. I’d snap at my employees. I’d forget what Susan and the kids wanted. I was so wrapped up in the chronic, continuous scream of my knees. I knew that this couldn’t go on and I’ve tried an awful lot of remedies over the years and now I want to share what has worked for me. I had to stop lying to myself about the effects of excess body weight. I’d packed on a few, more than a few to be fair, pounds since college and while I wasn’t “obese”, I was certainly heading in that direction. The more pounds that you pack, the more force you put on your injured joints and the more pain it causes. There can be no simpler form of cause and effect. So, I started an anti-inflammatory diet (I’ve written about this recently here) and started to take exercise in our local pool. I chose swimming because water acts as a natural cushion for your joints during a workout. It hurt at first. More than you’d believe. But I persevered. I owed my wife and kids that much. My employees deserved it too. I am still not in quite as good shape as I was in my college days, but who is? I have, however, lost most of my excess weight and my knees are taking less of a battering than they once were. Curcumin is the natural ingredient in turmeric. It’s nature’s miracle anti-inflammatory. Now, not everyone suffering from arthritis is suffering from an inflammatory form of the disease but… most non-inflammatory forms do cause inflammation even though they are not caused by inflammation. Yes, it’s an odd distinction but it’s a very real distinction too. That mean nearly all people with arthritis do have inflammation. Inflammation is a contributing factor to both pain and depression. Depression is also a contributing factor to pain. So, inflammation is a double whammy of badness. Your doctor will almost certainly prescribe you anti-inflammatory medication such as Ibuprofen or Sodium Diclofenac. In the short-term, this will work well. In the long-term, it may stop working so well. It can also become dangerous. So, a natural anti-inflammatory can come in very handy. Now, it’s important for you to realize that curcumin is no joke. Unlike many other “natural remedies” this one is a genuine pharmacologically active ingredient. That means before you start taking curcumin with other medicines – you need to discuss it with your physician. If you are pregnant, it’s also a very good idea to talk the use of curcumin through with the family doctor even if you aren’t taking any other medications. Seriously. A billion Indian people can’t be wrong and not only is turmeric (and curcumin) good for you but it’s a tasty addition to foods too! So, I have incorporated as much turmeric into our daily eating as possible and I also take curcumin supplements to boost the effects. Between the diet, exercise and curcumin (and the occasional pharmaceutical booster from my physician) I was about 80% of the way there. The trouble is that 20% of your pain is still 20% more pain than you want to experience. It’s a bit like the difference between being punched in the face and punched in the arm. Sure, you’d prefer someone punched you in the arm than decked you in the smacker but… you’d really prefer not to be punched at all. I had concerns about long-term use of prescription painkillers. A friend recommended marijuana but that seemed like a bad idea. I’ve got a business to run and a family to support – getting high isn’t going to be any more valuable than suffering in pain all the time. Then I found out that I could get the pain killing properties of marijuana without the side effects. Better still, I could do this legally. I have to admit, I don’t like the idea of breaking the law – I am not sure Susan and the kids would want to visit me in jail. CBD oil was the answer. An extract of cannabis which can be sold legally across the entire United States and with no psychoactive properties. I sent off for a trial immediately and have never looked back. We’ve arranged for every Pain Authority reader to get a chance at joining a free trial for CBD too. I think it’s so important and so valuable to a pain management routine that I urge everyone to try it. If it doesn’t work, there are other options but few as convenient as CBD oil. So, now you know. My “secret” for managing the pain of my arthritis is work with my doctor, improve my diet and exercise regime, use curcumin and turmeric a lot and use CBD oil. Pretty straightforward, right? I hope that it helps you too. Let me know in the comments below if this was useful or if there’s something else you want to know. The more you talk to me and Susan about your pain, the more we can do to try and help you. See you soon. Thanks for reading. Can Marijuana Help With My Chronic Pain? The short answer is that marijuana can probably help with most people’s pain. It depends on the pain and the type of marijuana selected. If one type doesn’t work, you can always go and try another until you find one that does. The trouble is that marijuana isn’t legal. It’s not even legal in the states that say it’s legal. Why? Because the federal government, under both Trump and Obama, has made no move to legalize pot in the United States. Sure, prosecutions haven’t been forthcoming in “legal states” but that doesn’t mean that they won’t either. The other issue is that marijuana gets you high. Being high can be good fun. If you have no responsibilities in the world and nowhere to be – it can be a lot of fun. But if you need to raise a family, care for other people, drive a car, work a job, etc. then being high is a bad idea. You don’t want to cure your pain at the expense of your family, or of running someone over or losing your job, do you? Well, the good news is that marijuana isn’t your only option. CBD oil is what I recommend instead. I take CBD oil myself for my own knee pain and I do so precisely because it doesn’t get me high. The good news is that CBD oil is also legal. Which means you can’t get into trouble for taking it. 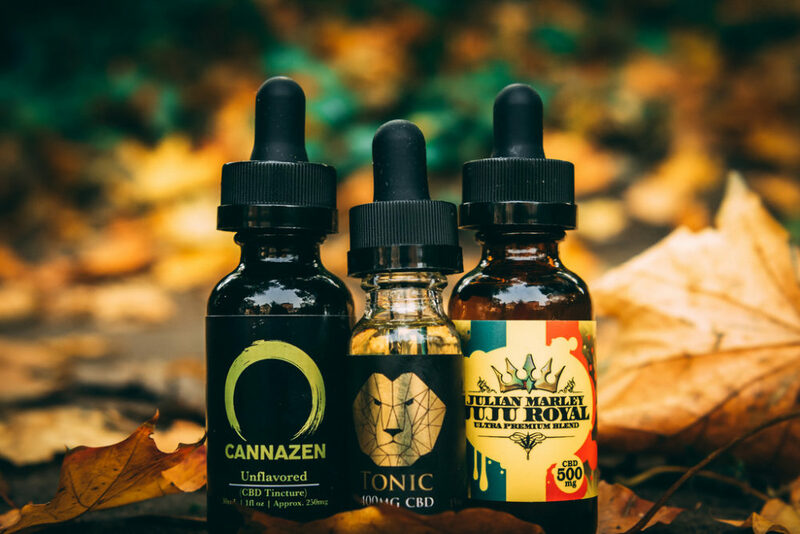 Finally, you may even be able to try CBD oil for free if you’re an American citizen. Go to this page for a link to a free trial of CBD oil. Dr. Paul Brand takes us on a journey that begins with his medical degree and ends up with the poorest people on earth in India. He told his story to Philip Yancey the acclaimed journalist who is based out of Chicago. Between them they make you think very carefully about pain, indeed. Dr. Brand’s life’s work has been with leprosy sufferers. You might think that leprosy is a disease which has long since disappeared and been cured but this is not the case. Even in the United States, where Paul’s experience with leprosy begins, there are regular diagnoses of leprosy. In places like India, Vietnam, the Philippines, and other developing nations not only is leprosy still common but it often goes untreated. Leprosy’s main effect on the human body is to destroy the never receptors that cause us pain. Dr. Brand argues that this is the real curse and that pain is our true blessing. I found myself resenting his assertion when I began but soon, I found myself nodding in agreement when you consider the consequences of a life completely free of pain, you soon find yourself feeling grateful for your own pain. Of course, that didn’t make my own pain suddenly better. I still need to take CBD oil for my arthritis but I am glad that this is a possibility for me and that with help, my pain won’t prevent me from caring for my family or running my business. You can purchase the excellent The Gift of Pain by Dr. Paul Brand at Amazon.